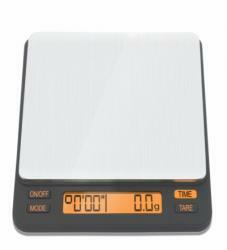 2000g capacity Smart Scale which can start and stop when you start and stop weighing and pouring. Auto off function to save battery life, which can be changed to 60 / 120 / 180 seconds. 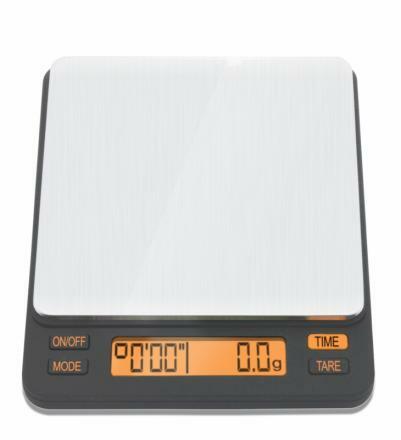 This scale has been treated with a liquid repelling nano-coating which allows you to wash your scale without damaging the internal electronics. The six modes are in built into the software. Weight and time is held for 5 seconds once cup is removed. It's a smart scale! Hand1: This is a pourover mode. Add brewing vessel to scale and weight goes to zero. 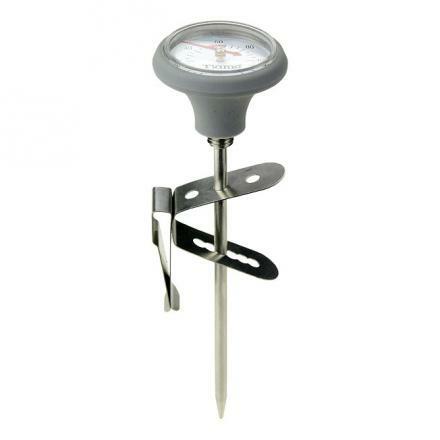 Add coffee grounds after 3 seconds weight goes to zero. Start adding water and weight and timer start. Remove brew vessel and both weight and time go back to zero. 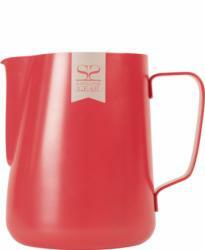 Non stick pitcher in black for frothing milk. 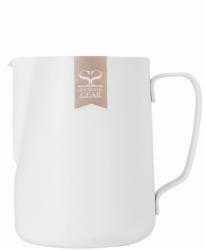 This white 0,35 and 0,6 liters milk pitcher is coated in a non-stick coat, that enables the milk after being heated, to be easily rinsed off in running water. No more layers of milk stuck on the inside of the pitcher. 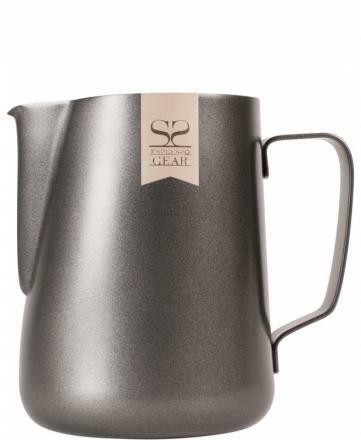 The Teflon is hard wearing and durable.These are especially great if you have a busy cafe and not much time clean your pitchers between servings, just a quick rinse or wipe with damp cloth and you're ready to go again. Not only functional, they also look very cool! 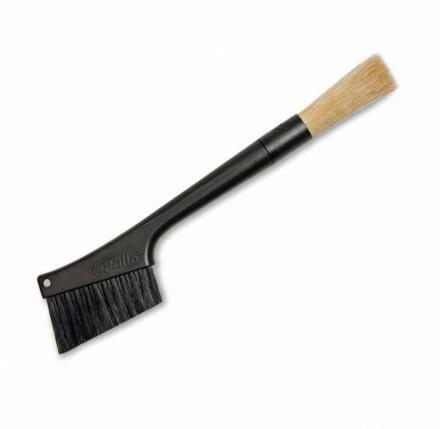 Round brush for cleaning the espresso machine portafilters. Can also be used for sweeping off coffee grounds from the grinder. We have gathered the most important accessories for your espresso machine in a barista kit. 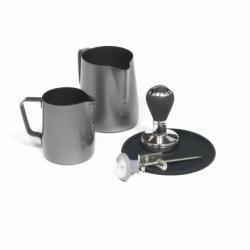 The starter kit contains one Barista Tamper 58mm, one Robusta tamper mat, one stick thermometer, two milk jugs (0.3 and 0.6 liters) and a knockbox. 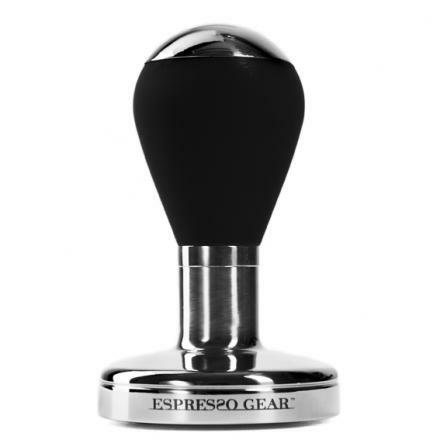 The Barista tamper is made for professional use. 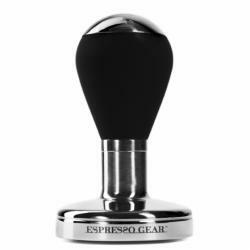 The Barista is the only die cast, hollow base stainless steel tamper on the market. 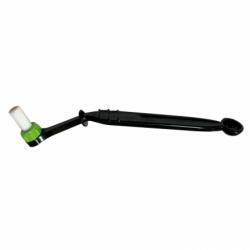 It is perfectly balanced and has a comfortable weight of about 250 grams. Robusta Silicone tamping mat is a good and durable tamping mat made from 3 mm Food-Safe Silicone. 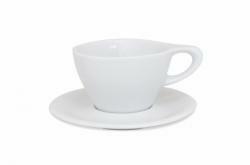 It's round, small and thin and fits perfectly in home kitchens or smaller bars or cafes. 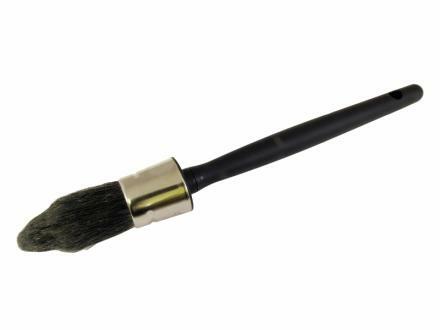 140mm in diameter. The milk pitchers are coated in a non-stick coat, that enables the milk after being heated, to be easily rinsed off in running water. 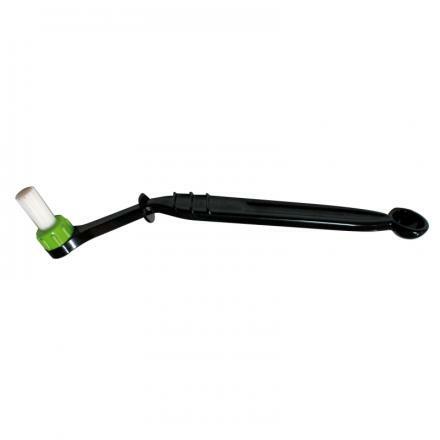 The Teflon is hard wearing and durable. 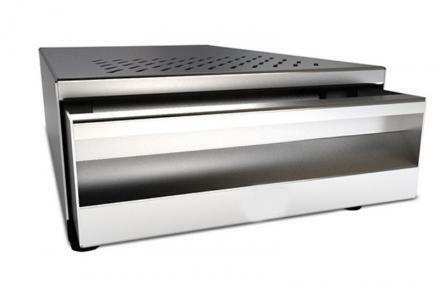 The stainless steel is 100% recycled. Available in 58mm and 53mm. Single Cappuccino Cup 15cl. Not Neutral, in collaboration with the baristas at Intelligentsia Coffee, bring you premier vessels for enjoying everything coffee. 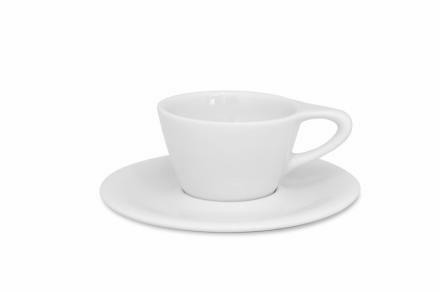 Perfectly designed for the perfect cappuccino. 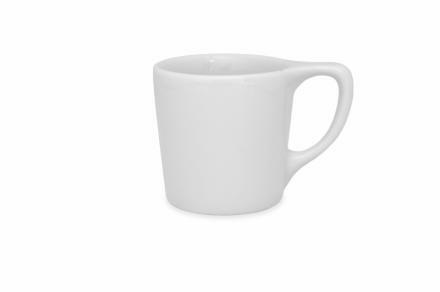 Coffee mug 30cl. Not Neutral, in collaboration with the baristas at Intelligentsia Coffee, bring you premier vessels for enjoying everything coffee. Perfectly designed for the perfectly brewed filter coffee. Espresso cup 9cl. 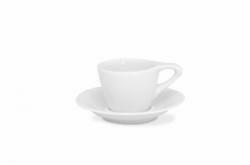 Not Neutral, in collaboration with the baristas at Intelligentsia Coffee, bring you premier vessels for enjoying everything coffee. Perfectly designed for the perfect espresso. 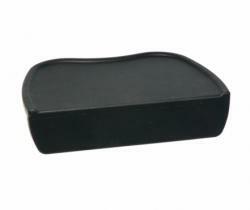 Robusta Silicone tamping mat is a good and durable tamping mat. 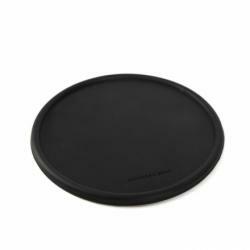 Robusta tampermat is made from durable 3 mm Food-Safe Silicone. 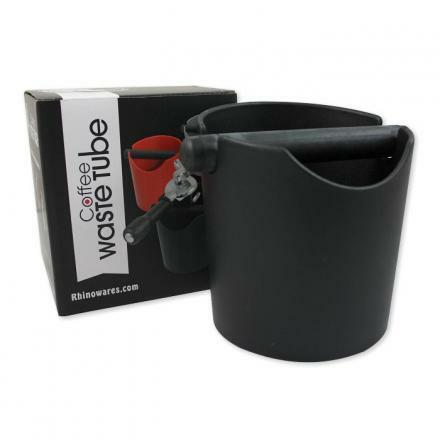 It's round, small and thin and fits perfectly in home kitchens or smaller bars or cafes. 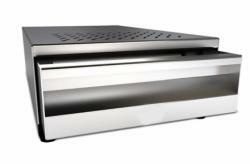 We offer professional barista accessories for your espresso machine and filter coffee solutions. 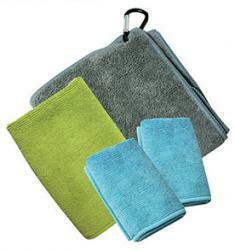 Here you will find, for example, tampers, tamper mats, thermometers and knock boxes. We also offer scales, measuring glass, cups and mugs and milk jugs.